The anthracite finished Sloane double panel designer radiator with mirror from Hudson Reed, a striking modern design complete with mirror to reflect your style. Add a touch of classical elegance to any room with the vertical simplicity of the Sloane designer radiator. 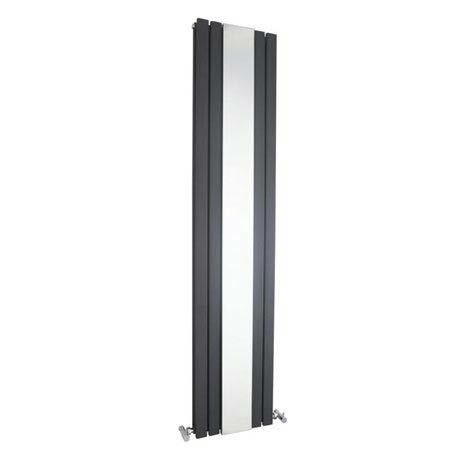 Make a statement with our 1800 x 381mm designer radiator, guaranteed to be the focal point of any setting. Hudson Reed provide luxury designer bathroom products at desirable prices, combining comfort and reliability with practicality and quality craftsmanship. Hi, the mirror part has a width of 146mm. Hope this helps!